You know how there's that trite saying about dancing like no one's watching and all that other bull? Well, while that one's said and repeated in a way that makes you want to throw up, what it's really getting at is that inner strength and that inner stuff that no one could or should ever diminish, as much as they might try. The only reason someone would need to dance like no one's watching or love like they'll never be hurt is if they knew that it was all a bunch of junk. The only reason they'd need to do any of that stuff is if they knew very intimately that others are always watching and they are inevitably going to get hurt. It's that knowledge that you're definitely going to be hurt that makes the love that you're having feel that much better. This is a phrase that, in some innate way, is everything that The Lone Bellow is about. They flirt with the warm hands and the cold hearts and the places where they meet. The warm hands always trump the cold hearts. The songs on the band's self-titled debut album are testimonials to not just surviving, but thriving, even in a pessimistic, dog-eat-dog kind of world where the easiest thing to do is to be down. 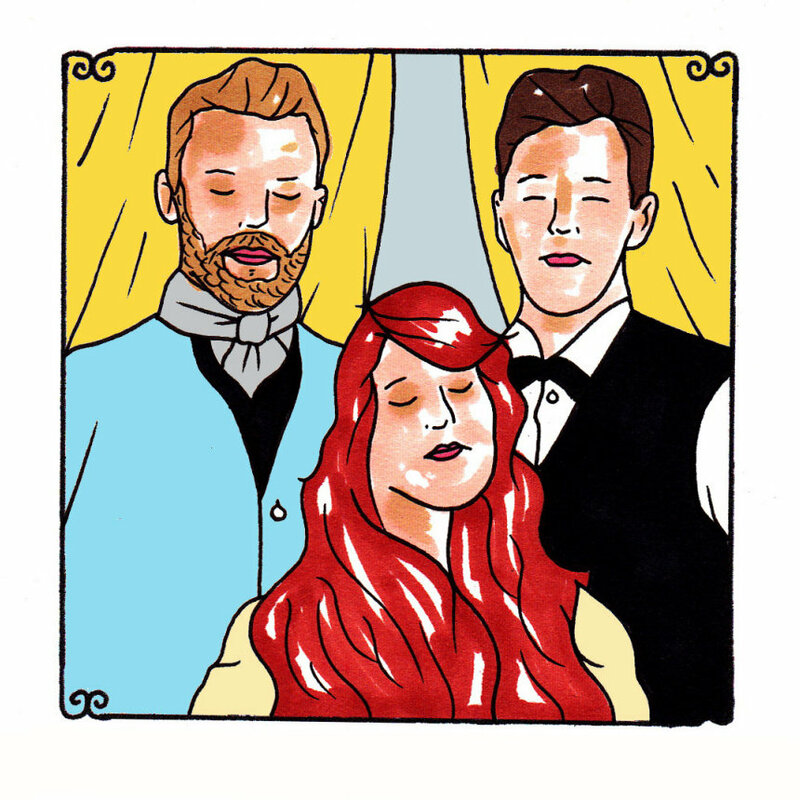 Zach Williams, Kanene Doheney Pipkin and Brian Elmquist write songs that feel like trains. Once they get their steam up, they start rolling faster and faster down the tracks and they're bringing everything attached to them along for the ride. They encourage the kind of spirit that burns violent orange and red. It's piping hot and it strains against its connective tissue, almost impossible to be kept where it is. The characters that they bring to life are infected with that need for love, for companionship and for it all to settle in, to age appropriately and for it all to be what they were looking for. Of course, since when does it ever go that way? One's got to try though and one must keep reaching for it. One must keep shouting about it from the tallest roofs, out into the thankless nights and they probably must behave as if they're all alone to have any chance of it working out.